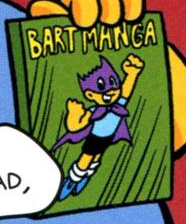 Bartmanga is a Japanese manga comic book about Robartman that Bartman bought at The Android's Dungeon & Baseball Card Shop. After Bartman saves the The Android's Dungeon & Baseball Card Shop from Snake after he bending back the Bartmanga cover. Bartman seeing at the guy on the cover looks like him and he buying the comic book and starting to read it. 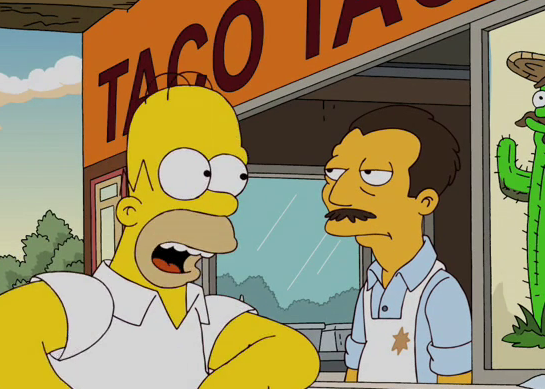 In the comic book creates a scientist a superhero robot he calls Robartman. After Bartman finished reading the comic he ask Comic Book Guy if there are more issues and he says that it depends on if there is interest. Snake is lying on the ground and says he would like to see more issues. Comic story – ‎Bartmanga! featuring Robartman! Modified on January 30, 2013, at 18:16.